Of course it’s true for owners and managers but it especially applies to your staff. When people don’t show, the business can’t go. Everybody gets sick on occasion but when people miss work chronically, it can be a bigger problem. Maybe this scenario feels familiar: Connie’s been late six days this month. And Oscar was absent three times. Rose was out sick two days last week and she just called in sick again. What’s going on? 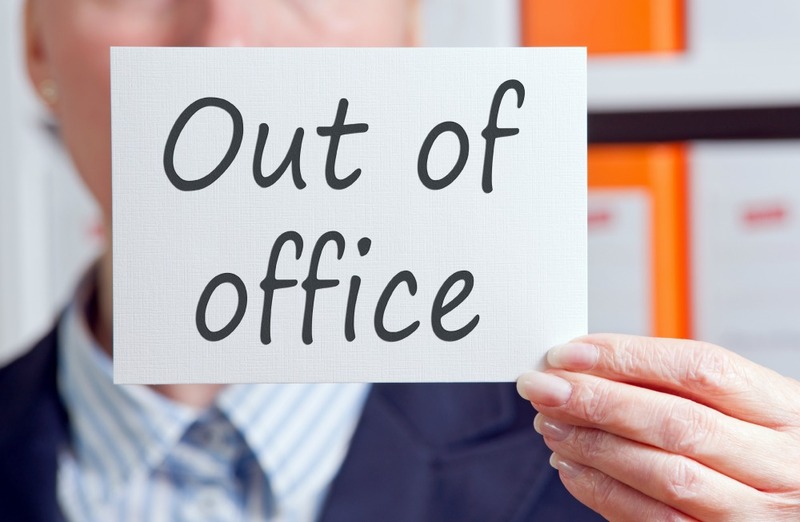 Excessive employee absences cost money and kill performance. You want to fix the problem, but equally important is understanding it. Besides a nasty flu hitting your staff, there could be a bigger reason for excessive sick time and tardiness. One smart fix is having a good system in place for tracking employee attendance. It can reveal patterns and problems you may not have expected. Let’s look at the top five things chronic employee absence or late arrivals can mean and what you should do about it. 1. Your attendance policy isn’t clear — or just gets ignored. If employees think that start and finish times are “flexible,” they’ll act accordingly. And if the policy on attendance, reporting sick days or requesting time-off is unclear or unenforced, employees won’t know what’s expected. The solution: Decide what you really want. Then put it in the employee attendance policy. Is a set arrival time important? Is working from home decreasing performance? If so, update your policy and make sure it’s clear and legal. Then make sure everybody knows the policy and enforce it consistently. 2. Your attendance policy doesn’t fit the jobs, location, or the employees you have. If you have mostly high school-age employees relying on public transportation to get to work and their shifts start close to the school day’s end, odds are they’ll be late. Or, if your staff needs to spend big blocks of time off site, strict in-office arrival times may not be a good fit. The solution: Start by looking closely at the goals of the job, the employees you have and your company location. Do you need to adjust employee attendance policies to better reflect the realities of your business or staff? There may be a smarter way to track attendance than by arrival at an office, or there may be a more appropriate start time. 3. The work environment is funky. People may prefer missing work — even when it means not getting paid or risking disciplinary action — due to a workplace with low morale, interpersonal tension or other issues. The solution: Check the general mood at the office or shop. Ignore the usual I-hate-Mondays vibe and really see if employees are happy to be at work. Is there a sense of teamwork? Is strong work rewarded? Morale issues can sometimes be addressed by upping your employee recognition. When employees feel appreciated and recognized, attendance issues usually diminish. 4. It’s just a few bad apples. Maybe it’s not company-wide. If you see that employee attendance issues are limited to specific employees, the problem may be personal. The solution: Start looking for patterns in absences and late arrivals. Is the same person always late? Do the same folks always call in sick on Mondays? The issue might be your employees, not your attendance policy. If you spot a pattern, talk with them privately. The fix may be as easy as changing a start time to fit a class schedule or a preschool drop-off routine. Or, it could mean helping an employee find counseling for more serious issues. 5. Your attendance policy might be a bit too severe. If your attendance policy doesn’t allow enough sick time or personal leave days, the policy itself may be the culprit. The solution: Everyone’s got personal business, whether it’s a parent-teacher conference or a dentist visit that clashes with work hours. If your leave policy doesn’t allow for work-life balance, attendance will always be an issue. Review your policy and make sure it recognizes that employees have families and other responsibilities and need time away to work effectively. A few small policy changes may yield a big payoff in attendance and morale. Something as simple as implementing a system for tracking employee attendance can make a world of difference. You’ll be better informed, more prepared and much more likely to have the proper staff on hand to fuel your business’s continued success. For more guidance on absence management, please visit 5 Ways to Prevent Employee Absences During Summer and No-Show? Handle Unexpected Absences Like a Pro.